While it is true that it was Harry Anslinger (America’s first drug czar) and his “Federal Bureau of Narcotics” that orchestrated (guided and directed) what we now know as the Reefer Madness Campaign. To the surprise of many people, Anslinger DID NOT originally create it. In fact it had already been going on for some time, before Anslinger even got into power. To our knowledge the first usage’s of the word, “Maria-gona” or “Mariaguna” in the English language start to make their way onto print in the mid-1860’s. However, these are to be found ONLY in obscure botanical textbooks and articles, with titles such as, “The native plant life of Mexico” etc. 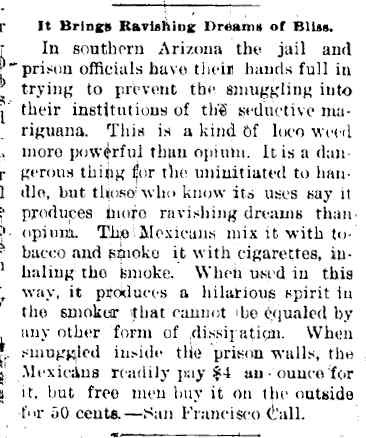 It wouldn’t be until the 1890’s that the first (American) newspaper articles about a strange Mexican plant, called “Maria-huana” started to come out that the word even made its way into the English language. However, it wasn’t until the early 1920’s that (what we would recognize as) pure Reefer Madness actually began to crawl out of the woodwork. The headlines taken from the Times-Picayune newspaper during this time period provides a good example. Aug 26, 1923 - Some mari- juana reached the city from Texas after being smuggled across the Mexican border. Oct 10, 1923 p6, crusade to stamp out mh. Oct 17, 1923 p 1, shooting lately been perpetrated by mh. addicts. Oct 26, 1923 "Marihuana crazed man slaps woman"
June 26, 1924 p6. "Marihuana blamed for wife murder" Beaumont Tx. July 2, 1924 p3. "Marajuana Outlawed"
Jan 4, 1926 p8. 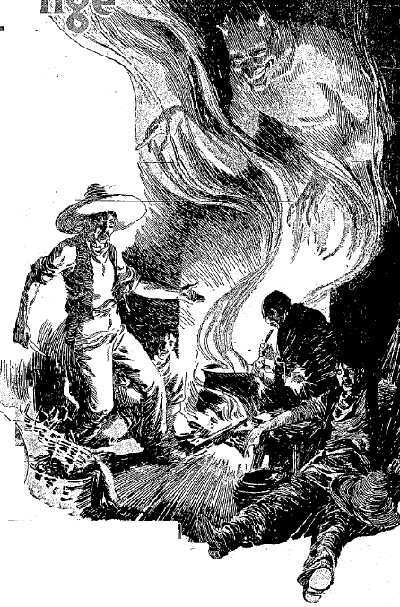 Editorial "Mexico Takes Action"
And note that Maria-huana in Louisiana was outlawed in 1924 – well before the start of the Federal Reefer Madness Hysteria Campaign in the 1930’s. And it should also be noted that the Tripple-K was at it's height of power back during this period as well. Oct. 18, 1926- "Marijuana Industry is Thriving in City, Children Are Addicts"
Oct. 19, 1926- " Smugglers Bring City's Supply of Marijuana, Tribune Survey Shows"
Oct. 20, 1926- " School Children Found in Grip of Marijuana Habit by Investigators"
Oct. 21, 1926- “ Workmen of City Lured by Muggles"
Oct. 22, 1926- “ Marijuana Found Easy to Purchase"
Oct. 23, 1926- " Marijuana Purchased with Ease"
Oct. 27, 1926- " Marijuana Dealers Vie for Trade"
The rest, as that old expression goes --- IS HISTORY. While today the very concept that Medical Cannabis would cause someone to go out and kill someone is somewhat laughable. Still, as we can see from the following newspaper article, back in the 1920’s and 30’s, such a thing was very believable. After all, would our narcotics police lie to us? New Orleans Tribune – Oct. 18, 1926 “Seminary Said to Be User of Marijuana” That Matthew Seminary who is accused of strolling into a street car early Friday morning and shooting down his former sweet-heart Lillian Hardin, 19, and her new love Ralph Sturdy, was under the influence of marijuana is the option of Detective William Bell. Bell declares that he met Seminary on the street a few hours before the tragedy. He seemed wobbly Bell questioned him and he said he had been smoking marijuana. “I told him to go home,” Bell says. Seminary was almost a constant user of marijuana, his friends say. Found guilty by a jury of having had 115 marihuana cigarettes in his possession, Miguel Henriques, 51 years old, 1500 North Villere street, was sentenced Monday as a second offender by Judge A. D. Henriques in criminal district court to serve five to 10 years in penitentiary. Henriques attempted to kill himself when Detectives albert Gerlinger and Rudolph slicho entered his Villere street store and arrested him on the narcotic charge in August. The prisoner fired four shots and after he was disarmed grabbed a butcher knife and stabbed himself then the man ran to the rear of the house and escaped. A few weeks later Henriques was found by police and a St. bernard parish deputy sheriff in a fishing camp near Yeloskey. The police say he again tried to end his life with a knife. During a struggle with the officers part of a gallery at the fishing camp broke and one of the falling planks struck Henriques in the head. Detectives said Henriques told them he would rather be dead than be returned to the penitentiary. When he was called for sentence Monday his criminal record was introduced by Assistant District Attorney George Gulotta. It showed that on January 27, 1931, Henriques was sentenced by Judge Henriques to serve from three to six years for bribery. The prisoner was arrested at that time by Captain of detectives Henry Asset and was alleged to have offered the detective captain $125 to release him. THE FACTS AS WE SEE THEM: Remembering that we have already proven that many of Harry Anslinger’s Gore File cases were out and out fakes. We must therefore say that this case (at least on the surface) just sounds very weird and also very unbelievable. However as the museum has not (as of yet) been able to do any actual research on this one case, we are thus unable to disprove any of the above stated facts. [top of page] note: left margin of page was physically cut prior to microfilming; cannot access those letters. 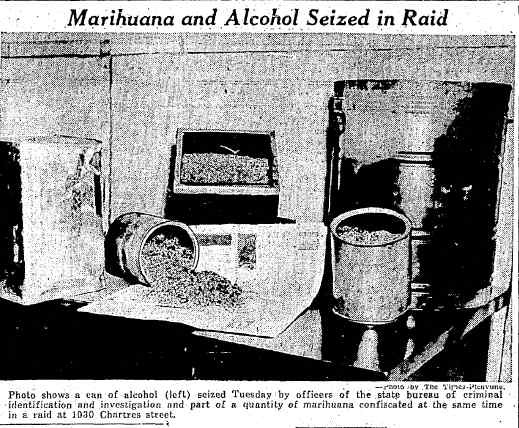 [S]-- Aug. 26, 1936 p3 - "100 Marihuana Plants, 12 Feet Tall, Just Bird Feed, Police Told"
[S]-- Sept. 19, 1936 p1 - "Marihuana Raids at English Turn Result In Arrest of Two Farmers"
[S]-- Nov 24, 1935 p2 - "Huge Marihuana Cache Uncovered by Raiding Police"
[S]- Feb 12, 1936 p1 - "15-Year-Old Bride and Her Uncle Held; Home Yields Marihuana"